Lock Your Love on the Avenue. 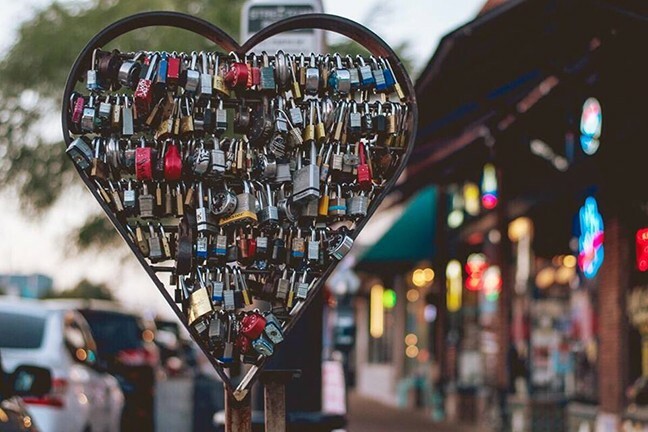 We've all seen the adorable lock-covered sculptures on Fourth Avenue, where hundreds of lovers have demonstrated their commitment to one another with a ceremony far more binding than marriage. This Saturday, every time you purchase an item from participating merchant on Fourth Ave, or from one of the seven nonprofits stationed along the avenue selling locks for $5, you'll get a sticker to add to a Valentine card. Get three stickers and you can take the card to Haggerty Plaza, 316 N. Fourth Ave., between 2 and 6 pm. On Saturday, Feb. 9 and you'll receive a key for a chance to open a golden lock. If your key opens one of seven golden locks, you win a fabulous prize! UA Public Art Tour. Even if you've been to the UA Museum of Art, there's probably lots of art on our local university's campus you aren't familiar with. In fact, even if you are or were a UA student, there's likely a whole host of sculptures, fountains, mosaics and more that you walk by every day without noticing or knowing anything about. Let a museum docent guide you through campus and teach you more about the art that's been hiding in plain sight. 10 to 11:30 a.m. Wednesday, Feb. 13. Begins at UA Museum of Art, 1031 N. Olive Road. Free. The Women in Railroading. Have you ever heard of Kate Shelley, a teenage girl in the 19th century who crawled across a train trestle, lanternless, during a thunderstorm, and then traveled two more miles (STILL IN A THUNDERSTORM) just to warn an oncoming passenger train that a bridge was out of commission? For the second week in the Southern Arizona Transportation Museum's lecture series, enjoy this panel all about the badass babes of the railroad industry. Jennifer Davis-Paige, member of the Railroad Passenger Association and co-founder/cohost of Boom Goddess Radio, will moderate a panel on the subject. Sunday, Feb. 10. Southern Arizona Transportation Museum, 414 N. Toole Ave. Free. Alexander String Quartet with Pianist Joyce Yang. Let's get stringy! The Alexander Quartet, in from San Francisco, is teaming up with Grammy-nominated Cliburn Competition medalist Joyce Yang for this performance hosted by the Arizona Friends of Chamber Music, and spanning the full history of music for piano and strings. From Mozart's Piano Quartet in E-Flat Major (one of the genre's first major efforts) to Robert Schumman's crowdpleaser Piano Quintet in E-Flat Major to a brand-new piece—Quintet with Pillars—by contemporary composer Samuel Adams. What a plucky lineup and lucky audience. 7:30 p.m. Wednesday, Feb. 13. Leo Rich Theater, 260 S. Church Ave. $30. Mata Ortiz Show and Sale. Have you visited the Amerind Museum over in Dragoon lately? This is a great opportunity to do it! Not only will you get to see the gorgeous, intricate pottery work of Hector Gallegos Jr., Laura Bugarini, Graciela Martinez and Hector Gallegos Sr. from Mata Ortiz, Chihuahua, Mexico, but you'll get to watch this art come to life right before your eyes when they do demonstrations. Weather permitting, they'll also be doing firings. Of course, the ceramic pieces will also be for sale, as will Taxco Silver jewelry. (Ahem... Valentine's Day is right around the corner.) Zapotec weaver Poririo Guitierrez will also be doing presentations about his family's weaving and natural dye traditions each day at 2 p.m. 10 a.m. to 4 p.m. Friday, Feb. 8, through Sunday, Feb. 10. Amerind Museum, 2100 N. Amerind Road, Dragoon. Museum admission is $10 adults, $9 seniors 62+, $8 college students with ID, $7 youth 10 to 17 and free for kids under 10. Cochise Cowboy Poetry and Music Gathering. Maybe you didn't realize it until just now, but you probably need a lot more cowboy poetry in your life than you currently have in your life. 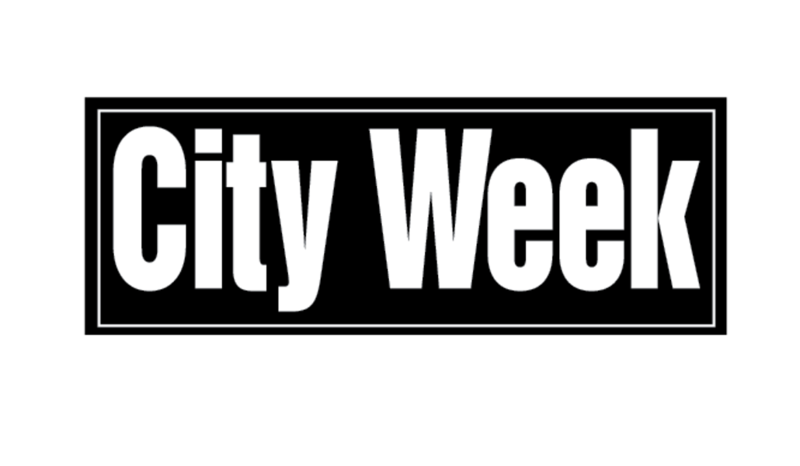 Cochise County has got you covered this weekend. Hear readings from tons of poets, then enjoy live music and dancing at the barn dance, 4 to 6:30 p.m. on Saturday. And be sure to catch live music by musicians like Kristen Harris, and the Hanson Family. You can also learn more about Cochise County Western Heritage—and enter to win a Moto G6 phone with nine years of unlimited text and data, a turkey fryer, a local glider flight or gift certificates—by participating in the scavenger hunt. 7 p.m. Friday, Feb. 8 ($20 adults, $6 students grades one through 12). 10 a.m. to 5 p.m. daytime performance ($15, or free for students), 4:30 to 6 p.m. barn dance ($5) and 7 p.m. performance ($20 adults, $6 students) on Saturday, Feb. 9. Buena High School, 5225 E. Buena School Blvd., Sierra Vista. The Microbes Shaping Our Lives. 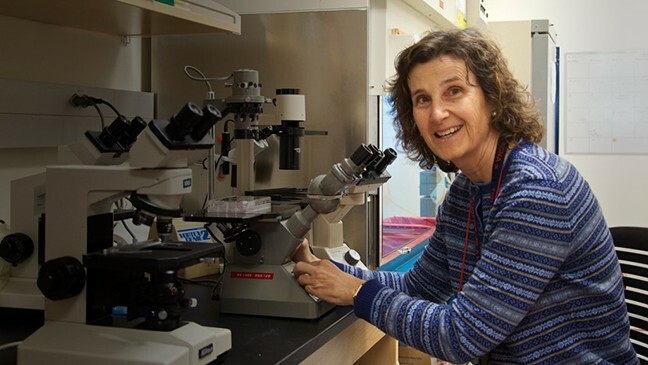 The UA College of Science Lecture series continues with this talk by Dr. Donata Vercelli, whose research in the College of Medicine focuses on immunobiology. This talk is all about microbes: those little guys that scientists spent decades seeing as nothing more than agents of disease that need to be wiped out. Now they're realizing that we all harbor millions of microbes in our body (the human body harbors at least 10 times as many microbes as it does cells), and that they affect everything from our blood pressure and our immunity to our cognition and possibly even our moods. 7 p.m. Wednesday, Feb. 12. Centennial Hall, 1020 E. University Blvd. Free. Sakura: Photography by Mark Taylor. You've probably seen photos of the sakura, or cherry blossom, before. The idyllic flowers are especially celebrated in Japan, as they herald the start of springtime and give everyone the time to reflect on life's ephemeral nature as the flowers fall throughout the season. Did you know walks to parks to see the cherry blossoms are especially popular in the country's most heavily built-up cities? This photography exhibit contrasts the natural beauty and delicacy of these flowers with the hard, sharp angles of Japanese cities, with their freeways, powerlines and commuter trains. At this free reception, you'll hear from Taylor on where he got his inspiration. 5 to 7 p.m. Friday, Feb. 9. Exhibit runs through May 4, and all photographs in the show are for sale. Yume Japanese Gardens, 2130 N. Alvernon Way. Free. Civil War Days at Old Tucson. When you look around at today's world, it can be difficult to imagine a less civil time. What better way to make yourself feel better about today's problems than to spend the weekend at a series of Civil War reenactments and presentations? Old Tucson will be showing what life in the Arizona Territory was like during the Civil War, doing battle reenactments and giving visitors the chance to visit soldiers' camps and learn about what life was like for them. 10 a.m. to 5 p.m. Saturday, Feb. 9, and Sunday, Feb. 10. Old Tucson, 201 S. Kinney Road. $19.95 adults and $10.95 kids 4 to 11. Second SundAZe Family Day @ TMA. If you haven't seen Carlos Estévez's exhibit "Entelechy" yet, this is your (free!) chance to see his representative work that uses everything from delicate linework to found objects to explore subjects like time, the cosmos and entelecheia, or the transformation of an idea into a reality. At the Tucson Museum of Art's Second SundAZe event, you can also enjoy a performance by the Dusty Ramblers Project from 1 to 3 p.m. and the opportunity to make your own art pieces, such as mandalas, scratchboards and puppets. 10 a.m. to 5 p.m. Sunday, Feb. 10. Tucson Museum of Art and Historic Block, 140 N. Main Ave.
Art-Lovers Brunch with Diana Madaras. Who doesn't love art? And brunch? This sounds like a win-win already. Throw in the chance to meet local artist Diana Madaras, and hear from her about how her love of art changed her life, and you've got one idyllic Sunday morning. Madaras' floral canvases will be 15 percent off throughout the weekend, just in time for Valentine's Day! Whitney of Bling by Wilkening will also be at brunch to help you find the perfect Valentine's Day jewelry as well. What's not to love? RSVP at 623-4000 or ops@madaras.com. 11 a.m. to 2 p.m. Sunday, Feb. 10. Madaras Gallery, 3035 N. Swan Road. Flame Off. You think molten glass is cool? Hell yeah it is! And what just might be even cooler is watching 18 artists race against the clock to make the best molten glass creations. Sonoran Glass School co-founder Tom Philabaum founded the Flame Off in 2001, and for the event's 18th year, the themes is "(Un)Natural World." While you watch artists compete, a host will explain their process, and when you're not watching artists compete, you can check out the live auctions, raffle prizes and food trucks, as well as the wine and Thunder Canyon Brewery beer. Get your glass over there! 7 to 11 p.m. Friday, Feb. 8. 633 W. 18th St. $20, or $50 for VIP tickets. Best of the Eagles. In case you didn't already know it, the Eagles' Hotel California ranks as one of the best-selling albums of all time, both numerically and in all of our hearts. Hits like "Life in the Fast Lane," "Victim of Love," "Take it Easy" and that sweet, sweet title track are all classics. Treat yourself to a night out at the Tucson Symphony Orchestra, where a full orchestra, plus a rock band and vocals, will be playing the album in its entirety. You'll have a great time, and unlike the physical Hotel California, you are free to leave when the show is done. 7:30 p.m. on Saturday, Feb. 9 and 2 p.m. on Sunday, Feb. 10. Tucson Music Hall, 260 S. Church Ave. $15 to $77+. Fine Valentine Relay. You know what the problem is with most relay races? Not enough PDA. Runners just pass off the baton like their hearts aren't even in the transaction. Not so at this event, where pairs of runners run two miles each, and are required to show some form of PDA in the PDA Exchange Zone and at the awards ceremony to be eligible for prizes. (If you're friends or family members, a hug will do.) You can also do the whole course by yourself, do a 2-mile fitness jog, or, if you're a kid, do a kids' dash after. Afterward, enjoy a free hot breakfast at Gentle Ben's, mimosa and bloody Mary specials and a costume contest. Proceeds benefit Ben's Bells. Gun goes off at 8:30 a.m. Sunday, Feb. 10. Staging area at Main Gate Square outside Gentle Ben's, 865 E. University Ave. $50 for the relay, $25 for individual races. Flashlight Night. Everything is more fun when it's done in the dark with a flashlight! The International Wildlife Museum knows how to have a good time, so they're having a night full of safari selfies, reptile and insect encounters, movies and glow-in-the-dark crafts, all with the museum lights off. The flash-lit festivities go from 6 to 8 p.m., but if overhead lighting is more your scene, the museum is open all day from 9 a.m. to 8 p.m., so you can come visit it then. It's going to be a great night, and you glown't want to miss it! 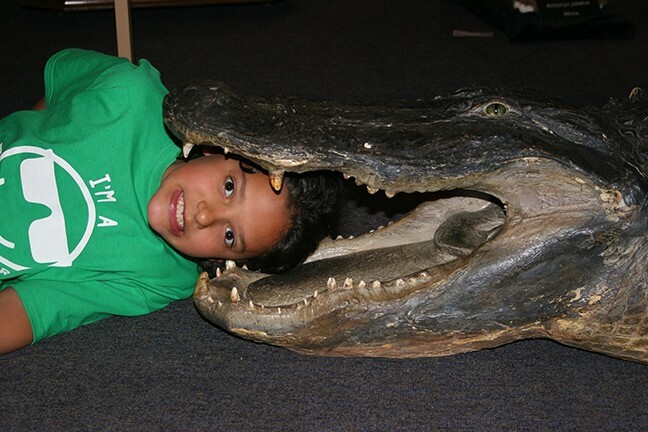 6 to 8 p.m. Saturday, Feb. 9. International Wildlife Museum, 4800 W. Gates Pass Road. $10 adult, $7 senior or military, $5 children 4 to 12, free for members and kids 3 and under. Free First Thursday at the Tucson Museum of Art. Another first Thursday of the month means another evening full of live music, art making and gallery conversations at this local art museum. This month, explore the intersection of art and the environment by checking out Patricia Carr Morgan's exhibit, Blue Tears. Morgan, an Arizona photographer, traveled far from home to capture images of ice and glaciers up in Greenland, near the top of the earth, and way down at the bottom in Antarctica. Her work captures ice in its stunning beauty as well as its awe-inspiring power, for its ability to carve through mountains. Don't miss her performance at 6 p.m. 5 to 8 p.m. Thursday, Feb. 7. Tucson Museum of Art and Historic Block, 140 N. Main Ave. Free. Mineral & Fossil Marketplace Show 2019. It's gem show season! Which means you'll probably have some amount of difficulty trying to get anywhere in town without running into some sort of incredible exhibit selling gems, minerals or fossils. But this one is just as worth a shot as any, right? Especially with free entry, free parking, free shuttle service and food trucks! Seventeen mineral dealers, 11 fossil dealers and three world-class meteorite dealers came from all over the world so that you could have a rockin' good time this weekend. Don't let them down! 10 a.m. to 6 p.m. Saturday, Feb. 2 through Saturday, Feb. 16. Mineral & Fossil Marketplace, 1333 N. Oracle Road. Free. Every Brilliant Thing. When you're six years old and your mother is clinically depressed, there's not much you can do. The protagonist in this award-winning play (which is described by The Guardian as "one of the funniest plays you'll see about depression") decides to do what she can by creating a list of all of the most brilliant things in life, the sort of things that make life worth livings. Construction cranes, for example. Or laughing so hard you shoot milk out your nose. Claire Marie Mannle stars in a role rarely portrayed by a woman. Thursday, Feb. 7 through Sunday, Feb. 24. Scoundrel & Scamp Theatre at the Historic Y, 738 N. Fifth Ave. $15 to $28..
Mercado Flea Second Sundays. Sometimes it feels like this sweet little pueblo is just one big flea market, doesn't it? So when you get a real flea market going in Tucson, it feels extra exciting—like flea market vibes squared. Head over to the Mercado San Agustin for some of the best vintage items, antiques and collectibles in town. Get on out there while we're still in these cooler months, and you won't have to flee in and out of the flea market to get what you need before you melt. 8 am. to 2 p.m. Sunday, Feb. 10. Mercado San Agustin, 100 S. Avenida del Convento. Free entry. Second Annual Beads, Blues and Beer Festival. Ah, the holy trinity of B's is rarely able to unite in full force—it's simply too powerful. But this festival is willing to take the risk with a family-friendly event full of live music, craft beer, food trucks, vendor booths, make-and-take bead stringing projects, and the chance to shop for artist-made glass beads and wearable art. Performing bands include the Whose Blues Band, the Bryan Dean Trio, Southbound Pilot, Cadillac Mountain and Brokedown Palace. Proceeds benefit Beads of Courage, which provides arts-in-medicine for children with serious illnesses. Noon to 9 p.m. Saturday, Feb. 9. Beads of Courage, 3230 N. Dodge Blvd. $25 for a festival friends pass and $50 for a VIP pass. 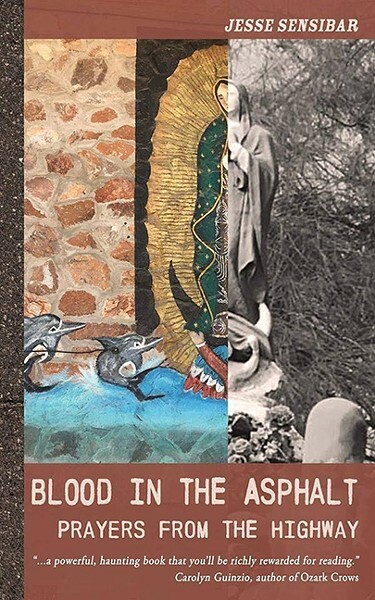 Blood in the Asphalt: Prayers from the Highway Author Event. Jesse Sensibar has worked as a tattoo shop owner, a private investigator, a tow truck driver, a wildland firefighter and a college English professor, just to name a few examples. These days, he's an award-winning writer (including the 2016 Hummingbird Flash Fiction Prize and winning the Hotel Congress 100th Anniversary Poetry Contest in 2018). His latest book chronicles his lifetime spent as a tow truck driver on the highways of the American Southwest, through a collection of photographs and short stories. Our own Brian Smith says of the book: "This haunting book is much more than mere roadside attraction, this is life examined from that rarely peeked through vantage—the dead end." Hear Jesse read at this event. 7 to 8:30 p.m. Friday, Feb. 8. Antigone Books, 411 N. Fourth Ave. Free. Tucson Backyard Gardening Winter Exchange. It's about to be the Tucson public seed library's seventh birthday! To celebrate, the Tucson Backyard Gardeners and the seed library are joining forces with this gathering full of plants, seeds and the people who love them. Exchange plans and seeds, enjoy demos and entertainment and learn more about the local gardening community. Can you think of a more charming, wholesome way to spend a Saturday afternoon? (P.S. : Bouquets of flowers wilt, but garden flowers keep on growing, making them the Valentine's Day gift that keeps on giving.) 2 to 4 p.m. Saturday, Feb. 9. Joel D. Valdez Main Library, 101 N. Stone Ave. Free.